With the massive crypto market rout that has occurred in ‘red August’ many are now talking of an altcoin extinction which could spell the demise for the majority of them. Which ones are likely to survive is the key question. This sentiment has been echoed by Ethereum founder Vitalik Buterin when he famously said that most of the coins on Coinmarketcap will go to zero back in October before the big run up. Buterin’s comments were aimed more at low quality alts, or ‘shitcoins’ as they’re commonly known in the trade. Rogers, however, believes that only Bitcoin is the king and now is the best time to buy it. He may be onto something since Bitcoin’s market dominance has increased to 53.7%, its highest level this year. If there is merit to these words, which altcoins will survive? To find out we need to look back to the ones that have survived such market drops in the past. These are most likely to survive this slump and possibly grow stronger in the future. Going back to 2013/14 is an almost mirror image of the current market situation with a huge pump at the end of the year and a massive dump throughout 2014 when markets shed 80% before recovering again in 2015. Looking back at altcoins in 2014 we can see Litecoin as the second most popular cryptocurrency, priced at just $9. Also in the top twenty altcoins back then were XRP, Dash, Nxt, Dogecoin, Bytecoin, Maidsafe, and Monero with a few others. The rest have faded into obscurity so it is likely that these few will survive the current market depression. More recently there were a couple of smaller jumps and drops in 2016. Altcoins around back then include Ethereum which has taken and held the second spot as it is now the platform of choice for 90% of blockchain startups. Also in the top twenty were the same coins as in 2014 plus Nem, Lisk, DigixDAO, Waves, Steem, Siacoin and Stellar. This is not to say that they will definitely be around next year but they have a better chance than some of the newcomers simply because they have weathered these storms before. Another factor to consider is whether a project has a working product or is just still a concept or work in progress. This could be fodder for extinction as non-operational altcoins are weeded out in favor of ones that actually have something on the table or have made significant partnerships. Looking at today’s top ten Cardano is the worst performing altcoin dropping 93% from its all-time high. It does not yet have a fully working product and is largely conceptual though the roadmap does look busy, whether this is enough to avoid extinction remains to be seen. EOS is similar with no real functioning product and a massive slide of 80% since the hyped pump it had in April. Iota also seems ahead of its time and has lost over 90% since its ATH, and then there is Tron which must be the most overhyped altcoin in the list that still doesn’t really do anything yet. 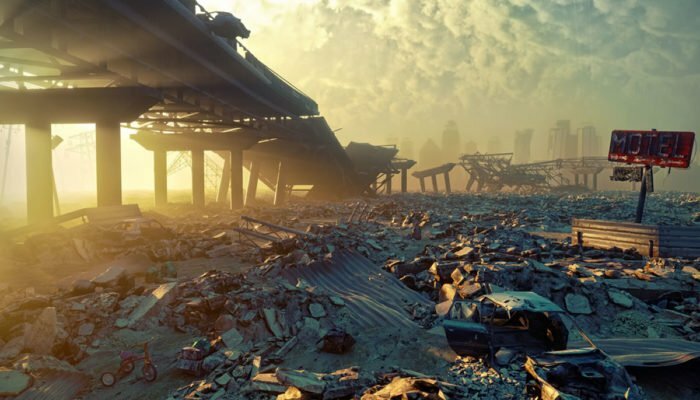 There are too many to mention, 1845 on Coinmarketcap in fact, and this article is largely hypothetical but if such an apocalypse is to occur, only those that have survived the test of time and have some degree of product functionality have the best chances of surviving again.